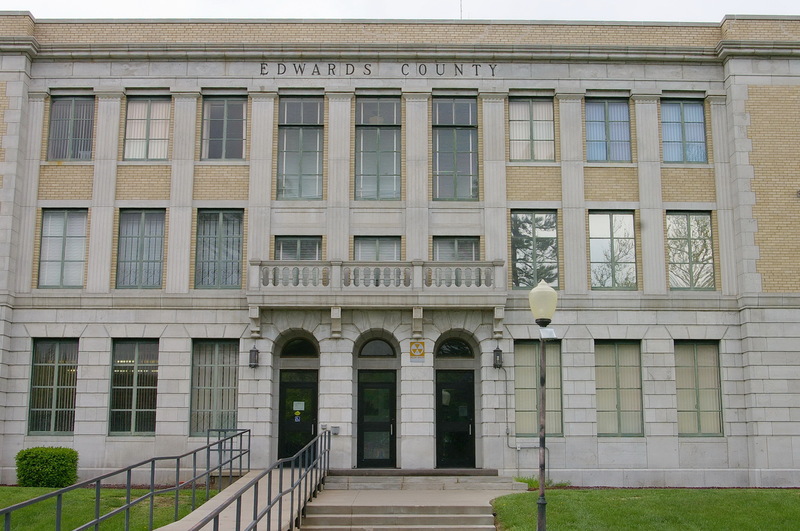 Edwards County is named for John H Edwards, who was a Kansas state legislator. Description: The building faces east and is a three story gray limestone and buff brick structure. 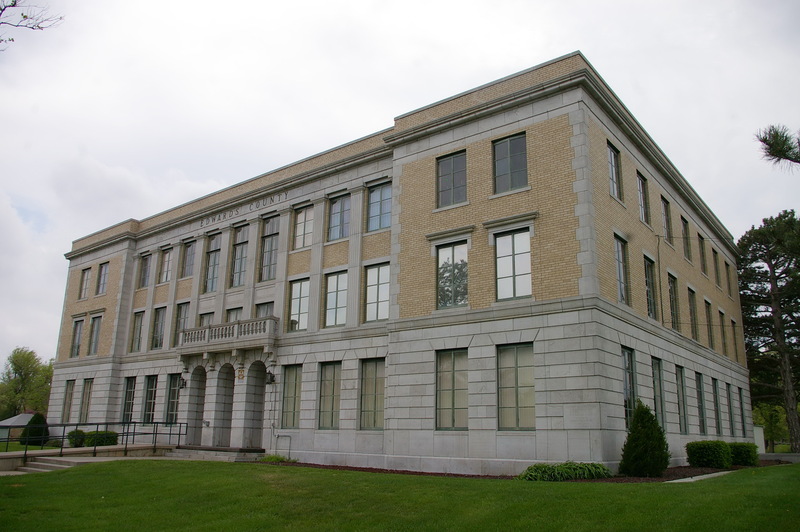 The east front of the rectangular shaped building has three arches at the center of the first story, with a small balcony above. A protruding cornices runs below the roofline. 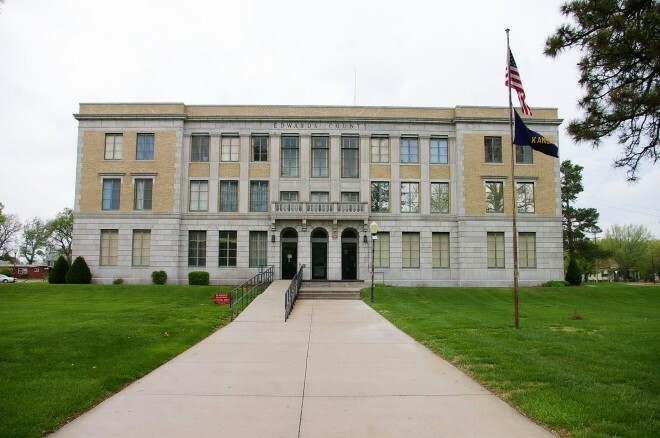 The first story is faced with gray colored limestone. The roof line is flat. 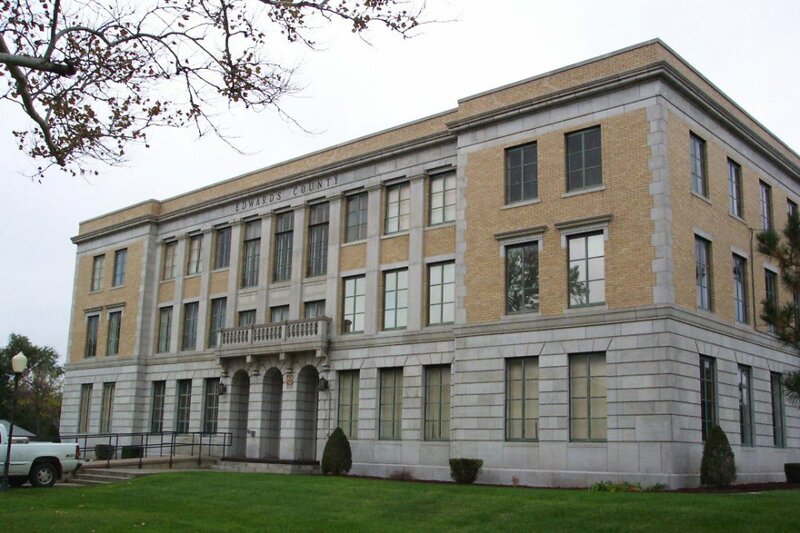 Note: The present courthouse replaced the courthouse designed by Hopkins & Holland and constructed by Virgil D Billings in 1885. 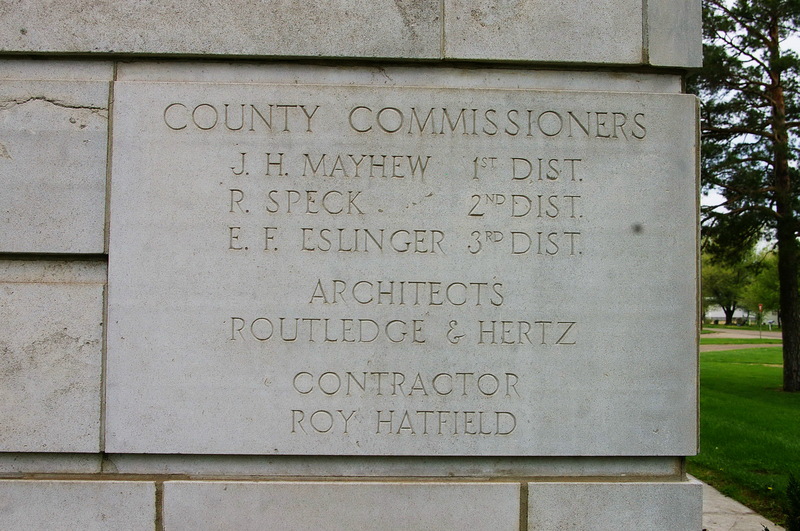 Note: The architect, Routledge & Hertz, designed courthouses in Comanche County, Finney County, Gray County. 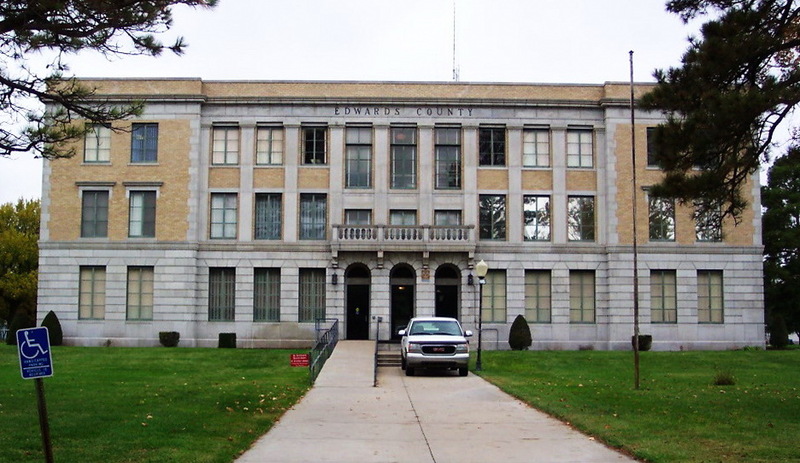 Hodgeman County and Sherman County.